Glago Law Firm treats each client like a member of the family. In 2017, Glago Law Firm was ranked regionally as a top law firm in personal injury litigation practice by U.S. News – Best Lawyers in the category of “Best Law Firms.” The firm earned the same distinction for 2018. Today it continues to earn a steady stream of accolades from its clients and its peers. 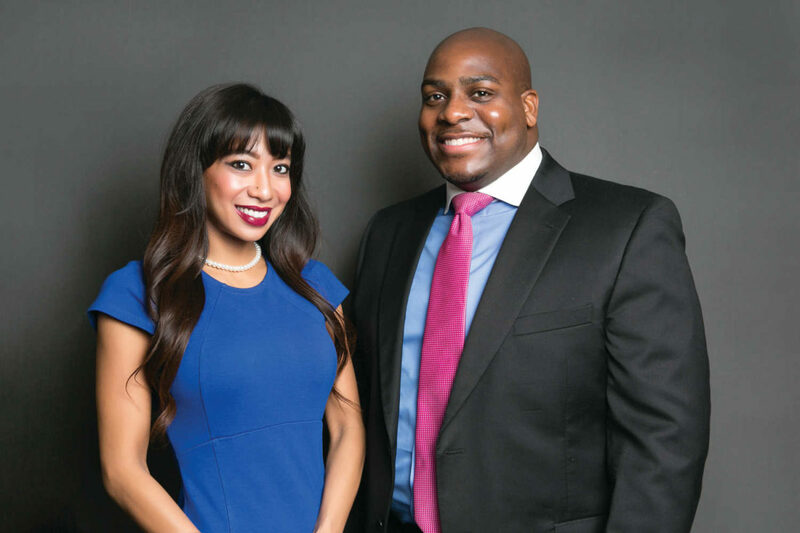 “We owe our success to having experienced attorneys, paralegals and support staff who all believe in what they do and are passionate about providing the best representation for our clients,” Glago says. It is not a coincidence that the attorneys and staff who work at Glago Law Firm share a common work ethic and are inspired by compassion. According to attorney Jatavian Williams, who is in his fifth year at the firm, it is family that inspires him to work hard for his clients. “My mom died of stomach cancer when I was 4 years old, and I was placed in my grandmother’s care,” he says. “At that time, my grandmother worked as a housekeeper for a personal injury attorney. He helped her discover that my mother’s death was accelerated due to her doctor prescribing the wrong medication. After my grandmother filed and won her case, there was enough money to send me to college. I became a lawyer because I saw the need to help people like my grandmother.” This is the level of compassion that motivates Williams to deliver for his clients. Marissa Hutabarat, who joined the firm after working as a judicial law clerk for several years at the Fourth Circuit Court of Appeals and Civil District Court, explains how her innate desire to help stems from a childhood experience. “My dad is from Singapore and came to the United States on a student visa,” she says. “After earning his masters degree, he decided to pursue dental school and was accepted on a 50 percent scholarship to the Northwestern University Dental School in Chicago. “That direct interaction and the opportunity to change someone’s life with a great case result is why I love going to work every day,” Glago adds. With offices in New Orleans and Houston, the team at Glago Law Firm takes pride in its ability to handle complex, multiple district litigation — from holding insurance carriers accountable for their coverage obligations in wrongful death, serious injury, property damage or business losses to medical malpractice cases and class action lawsuits. On legal advice: Glago Law Firm offers a free initial consultation and, in most matters, there will be no attorney fee or costs charged unless or until a favorable verdict or settlement is obtained.